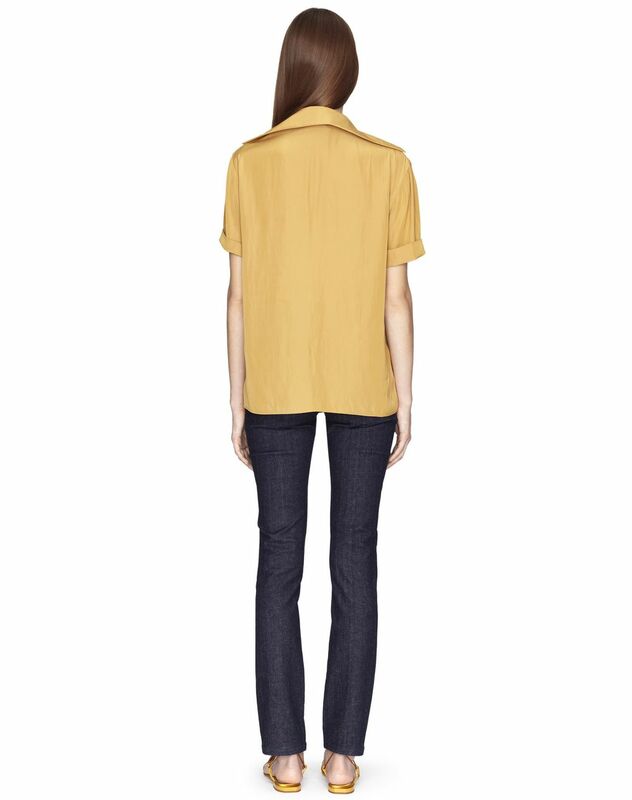 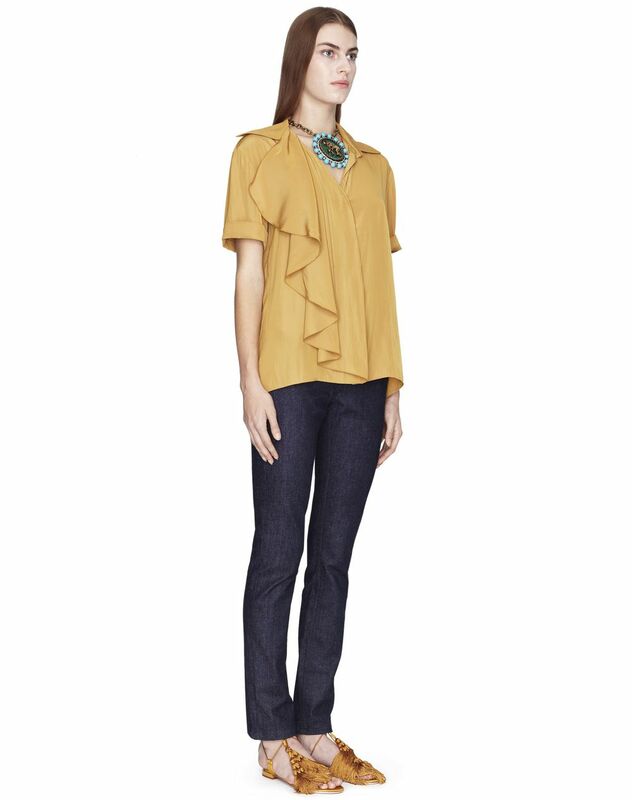 Gold satin blouse, short sleeves, V-neck, inset with ruffle detail, and invisible front button placket. 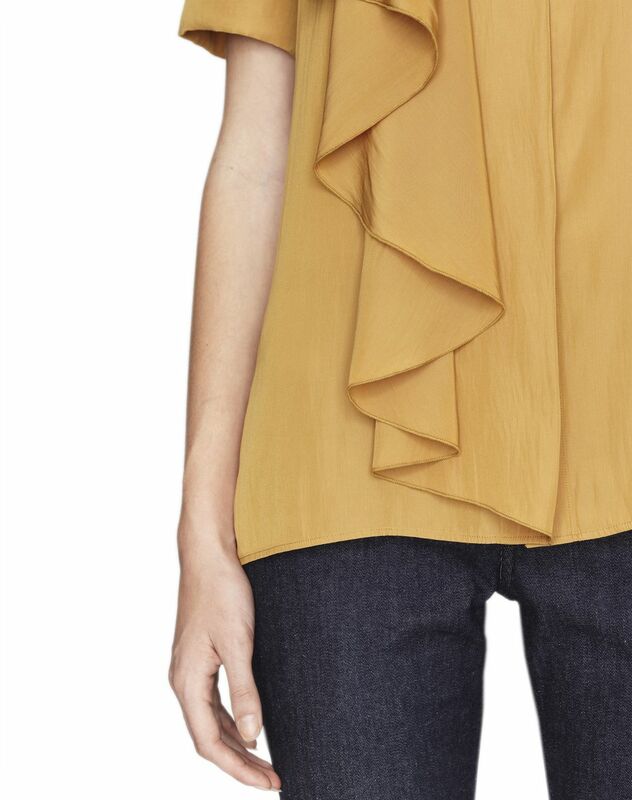 This satin blouse stands out for its simple, sophisticated cut, which is trimmed with a delicate ruffle, a Lanvin signature. 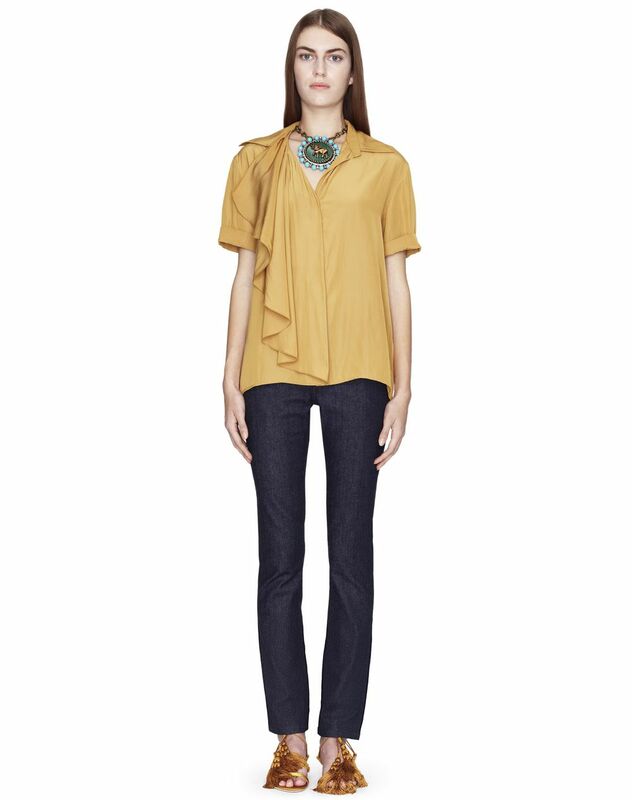 Its luminous gold color and the sheen of the material will add a radiant touch to any outfit. 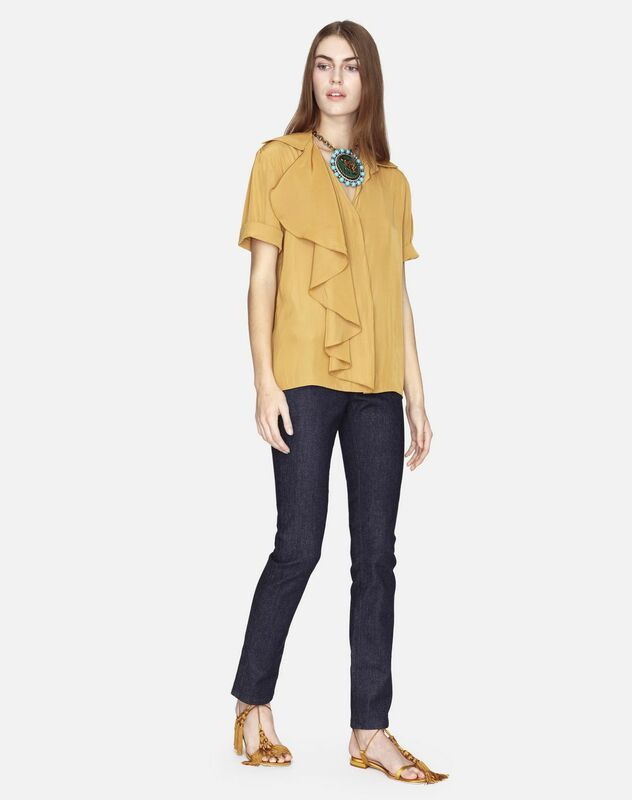 Lightweight and flowing, its elegant neckline will beautifully highlight the bust.